I wanted to give a quick update as I know people are looking here to see what's available. On the second day of the sale, I braved the first snow of winter to line up at 9:30AM this morning when the sale started at 10AM. There were only 2 girls in front of me when I lined up, and by the time 10AM hit, there were about 20-30 of us. Everyone got in just fine. Unlike the sale in May, there were a TON of MACs everywhere, in every color you can possibly want it in - including a ton of neutrals, mostly with silver hardware. They had patent white, grey and blacks - as well as a ton of other colors. 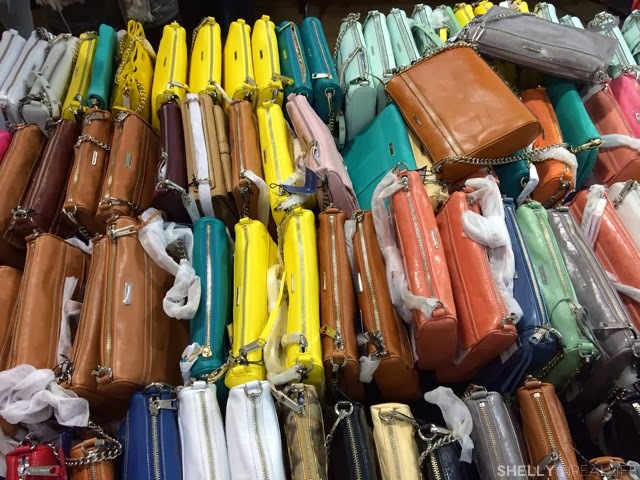 There were very very few Mini MACs or 5-zipper purses to be found (I didn't see any at all). It seems like maybe they were all bought out yesterday. There also weren't too many items from this season that I listed in the post below, which is to be excepted. I was just hoping to be pleasantly surprised, but I wasn't. I was happy to see they had the Hudson Moto in regular sizes available, too bad it wasn't in the rose gold I was hoping for. 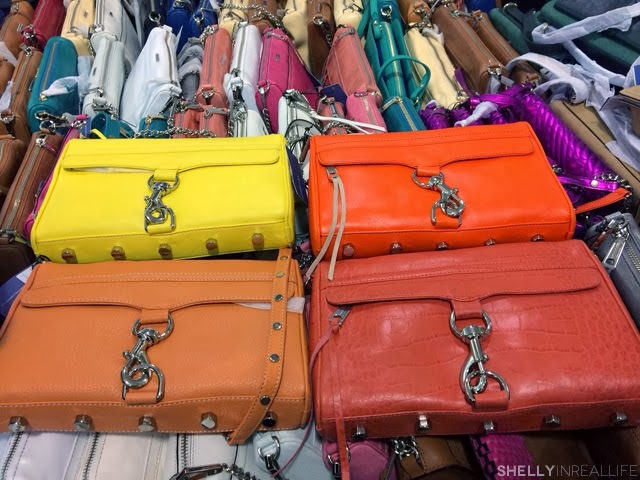 I didn't check on the prices of these, but I'm assuming it's between $175 and $200 as all the purses were selling at increments of $25. 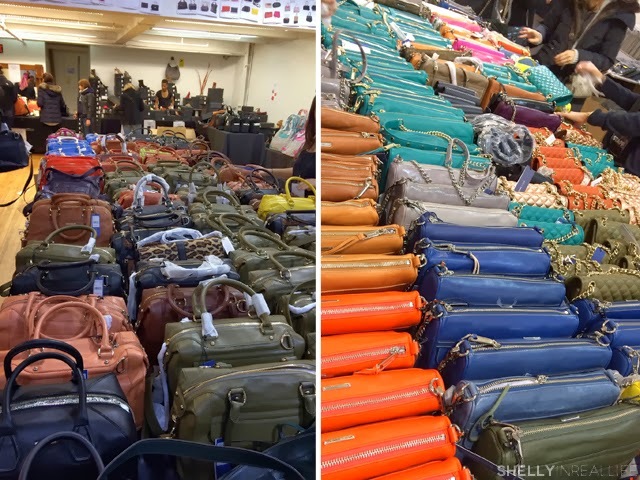 As you can see, there are a ton of bags for you to pick up, including the mini quilted purses in rose gold, teal and orange, as well as Rebecca Minkoff MAB bag. 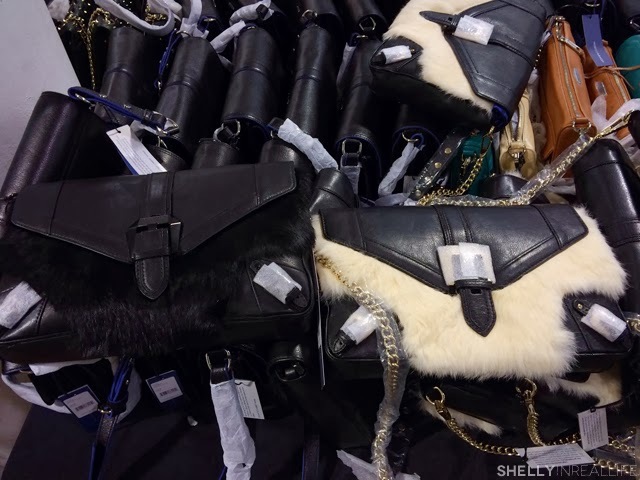 Something different about this sale was that they featured some actual samples instead of just overstock of purses. I ended up picking up this brown and black 7 sizpper bag which I don't think they ended up putting into production, but I like it a lot. Samples were being sold for $100. Also, unlike the sale in May, they had a full wall of RM clothes, however nothing that I found particularly exciting for the price. Racked NY has more details on this area. I'll update with pictures in the next few hours, but if you have your sights on a MAC, you're in luck. The sales people also mentioned that they'll continue to receive new shipments through the week, so if I don't post something that you like, you may still be able to find what you're looking for if you show up and get lucky! 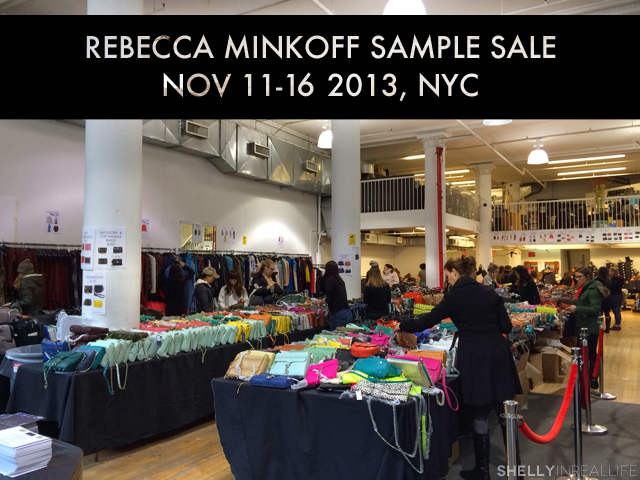 November is the month of Sample Sales and the Rebecca Minkoff Sample Sale is coming around again to NYC. I went to the sale in May and was able to find some good stuff. I'm expecting the price range this time around is similar - merchandise from $25 upwards to $275, going up in $25 increments. Mini MACs were going for $125 and MACs for $175. 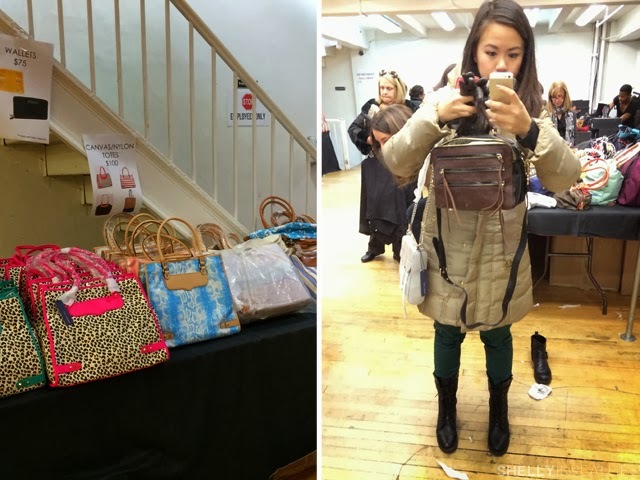 Check out my Sample Sale Report from May for more details. My experience was that there were huge lines on opening day, but on my second try in the morning on the next day, it was much better. 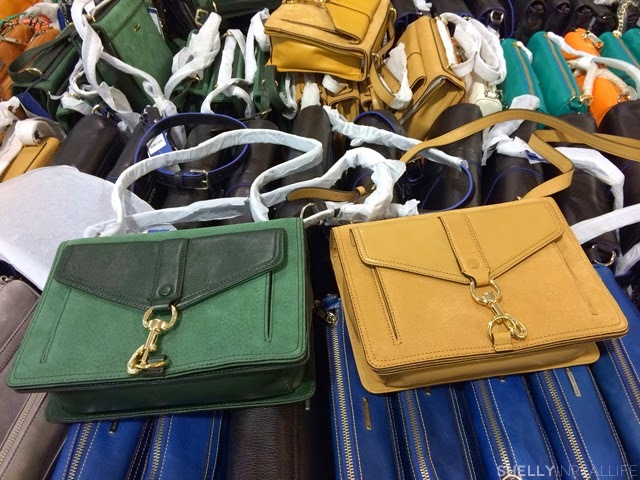 1) Buy the Gilt City Deal! If you're really prepared to buy something, this is the greatest deal. For $25, you will be able to cut the long line and join all the ladies in the VIP line which I'm assuming is going to pretty long on the first day. In addition to being in the faster line, you will also get a $50 credit for merchandise. That's pretty much a win-win deal right there. Buy the Gilt City Deal today (not available anymore), they stop selling it once the sale starts. If you've never bought from Gilt before, use my Gilt City link and get 25% off your first purchase! 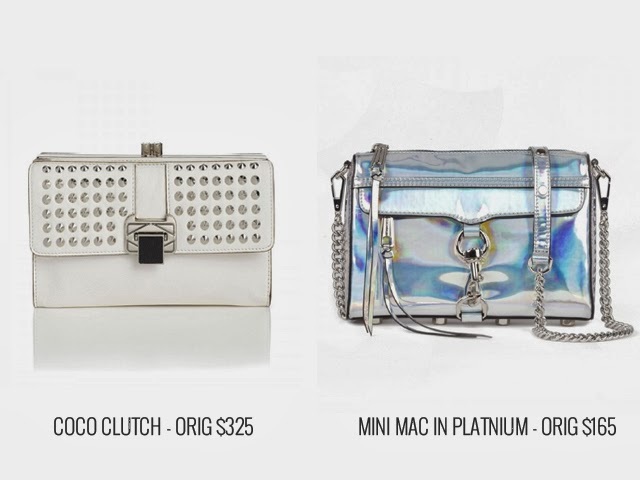 2) Shop the Rebecca Minkoff website & Set a Budget. One thing I regretted not doing last time was not doing my homework. Knowing what's out for the current season was a great way to quickly spot the best deals and just know what you want so you don't spend hours and hours lingering. This sale is perfect for Christmas Gifts so check out their Gift Guide and New Arrivals. 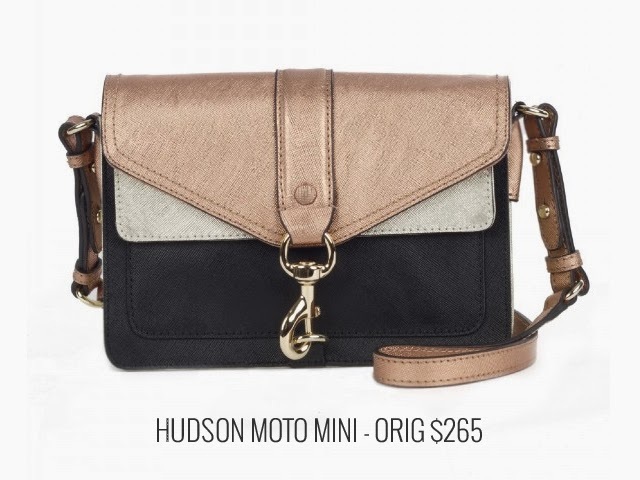 The Hudson Moto Mini - is super cute, and what I'm hoping to see the most and I give myself a $150ish budget for it. It looks like in the past few months, they introduced M.A.B. 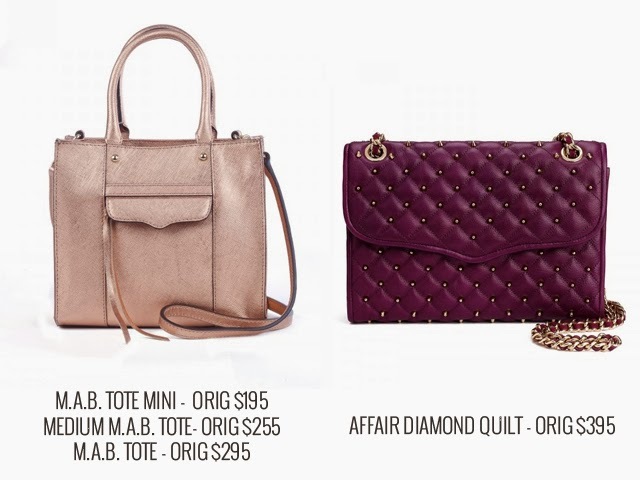 Totes in 3 sizes - I'm loving it in Rose Gold. Also the Affair Diamond Quilt in Plum is gorg. Finally, here are some fun items that I don't think I'd necessarily purchase, but from tons of online shopping, this platinum color that the Mini M.A.C. comes in is all the rage these days. Definitely fun depending on your mood! Also finding this Coco Clutch pretty cool. 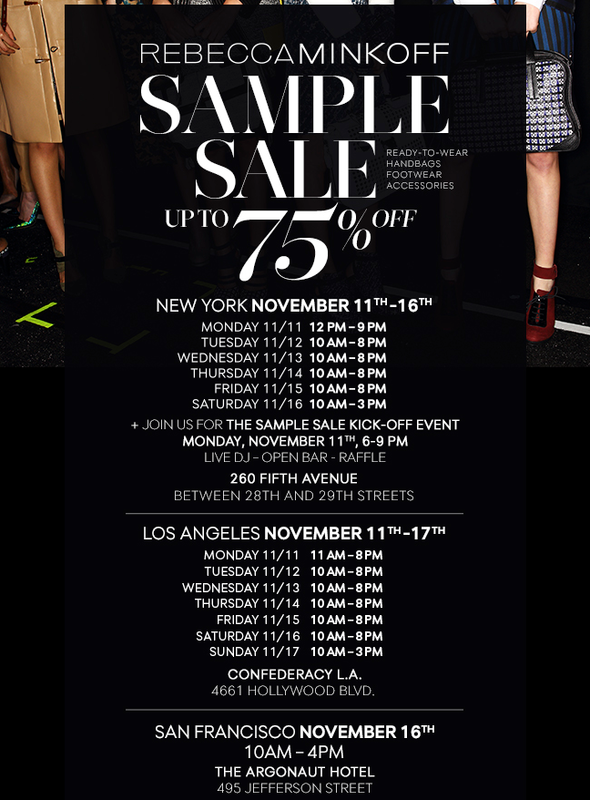 Since November is the month for sample sales, be sure to check out Racked's list of 60+ sample sales.